A gift membership in the Cigar of the Month Club is what every cigar lover is dreaming about! Every month they'll receive a new selection of five, premium-quality cigars hand-rolled in limited quantities by boutique tobacco producers around the world. Cigars included in our cigar club have met the exacting standards of our team of cigar-professionals who audition dozens of high-quality cigars every month before making their choices. Only the very best make the grade for our members. 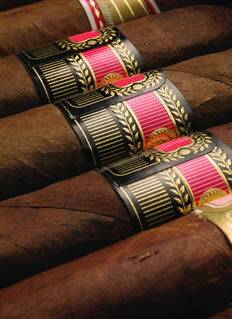 We offer 3, 6, and 12 month cigar clubs and the Cigar of the Season Club with new deliveries four times a year. Don't settle for second best! As the top-rated provider of gift of the month clubs, you can rely on us to deliver the highest quality and most unique cigars month after month. And every order is backed by our industry-leading 100% Satisfaction Guarantee. It's an easy decision because they're going to love this gift... guaranteed! Five great new varieties every month! Cigar Club Newsletter with every delivery! 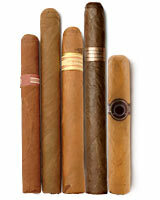 Unique Selections - Different cigar styles from unique destinations around the world!